HBO has just announced via a press release that Westworld will be holding a panel and autograph signing at this year’s San Diego Comic-Con! The panel, moderated by Reggie Watts, is taking place on Saturday, July 22nd, beginning at 4:15pm in Hall H, and will include the following cast and crew: co-creators / showrunners Jonathan Nolan and Lisa Joy, Ben Barnes (Logan), Ingrid Bolsø Berdal (Armistice), Ed Harris (Man in Black), Luke Hemsworth (Stubbs), James Marsden (Teddy), Thandie Newton (Maeve), Simon Quarterman (Lee Sizemore), Rodrigo Santoro (Hector), Angela Sarafyan (Clementine), Jimmi Simpson (William), Tessa Thompson (Charlotte), Evan Rachel Wood (Dolores), Shannon Woodward (Elsie), and Jeffrey Wright (Bernard). An autograph signing with the creators and stars will take place after the panel, beginning at 5:45pm in the Warner Bros. booth #4545. 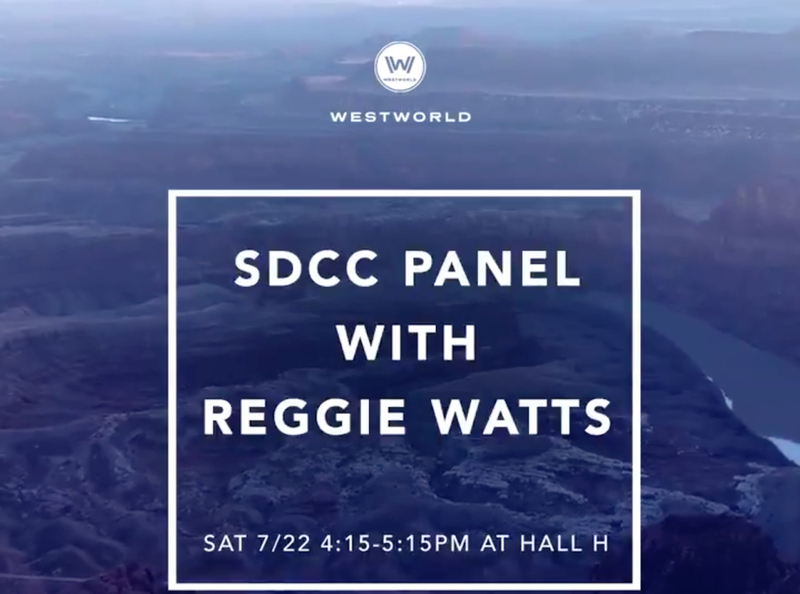 For those of you who are planning on attending this year’s SDCC, this will be a great opportunity to hear from some of Westworld’s biggest stars. And, given that the show will be shooting its second season at that time, perhaps some clues will be dropped as to what fans can expect! If you can’t make it to the event, don’t fret! You’ll be able to follow live coverage of the panel on Twitter via @WestworldHBO by using #WestworldSDCC. 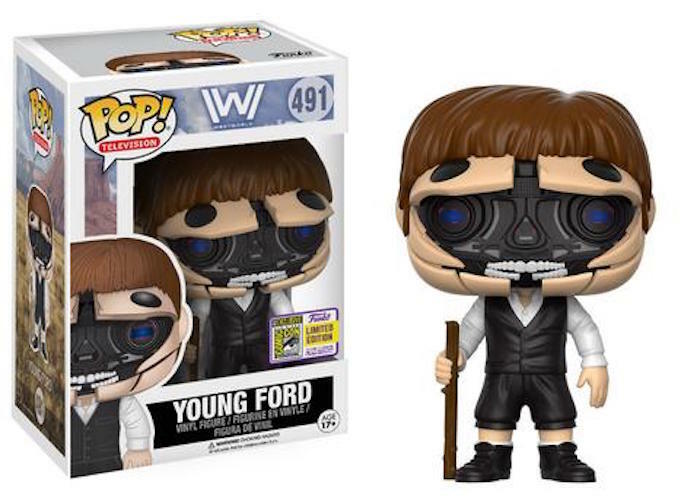 If that wasn’t enough, Funko has just announced 2 brand new Westworld Pop! 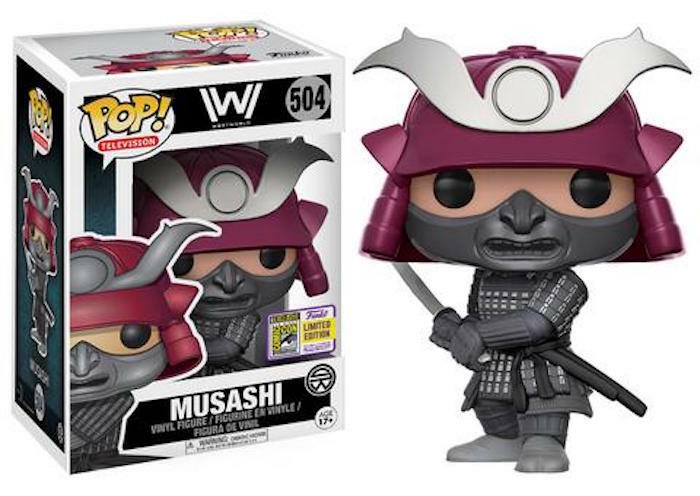 Vinyl Figurines, which will be exclusively distributed at SDCC: Musashi and Young Ford. Check them out (along with the new Game of Thrones offerings) below! What do you think will come out of the panel? Let us know!